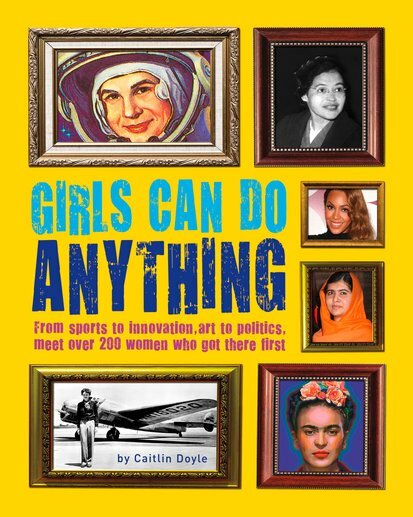 A fabulous fact-o-pedia of girl power. 200 inspiring reasons why being a girl is so first best. What do the first computer programmer, the first civilian in space and the most highly paid black musician have in common? Answer: they’re all women! Who said it’s a man’s world? From Venus Williams to Hilary Clinton, J.K. Rowling to Beyonce, say hello to the girls who got there first. Women like Amelia Earhart (pioneering aviator) and Harriet Tubman (anti-slavery activist and US spy). Did they need guys to open doors for them? No way. So what’s your thing? Civil rights? Arts and crafts? World speed records? Rock ‘n’ roll? Space travel? Yup, you guessed it: ladies first!